The date 9 February 2017 marked 132 years since the Viennese composer Alban Berg’s (1885-1935) birth. Despite this advanced age, Berg nonetheless maintains an active profile in social media. But before we review Berg’s current online profile, let’s take a moment to explore the “social media” of his time — the newspapers and magazines, coffee houses, and the “picture postcards” circulating around Vienna that kept members of the intellectual and artistic community in the loop and caused many to “friend” their fellows holding sympathetic views and also to “unfollow” those they found disagreeable. The social center of Vienna in Berg’s time was the coffeehouse, in particular locales like the Café Central and the Café Impérial. Here, in a contemporary version of today’s Twitter, people congregated to catch up on the latest rumors, gossip, scandal, concert reviews, and political news, and to argue and debate the issues of the day with friends and trolls alike. A devoted aficionado of this world was Richard Engländer (1859-1919), who renamed himself Peter Altenberg, in an act somewhat like changing one’s social media account name today. Altenberg wrote aphoristic poems on “picture postcards” and then mailed them to friends — in particular to women who he admired. His coterie of admirees included Berg’s soon-to-be-wife Helene, who received several of his postcards. Berg, in turn, set five of these poems in his orchestral songs, the Opus 4 Altenberg Lieder. The notorious first performance of two of these songs in March 1913 caused precisely the kind of scandal that was the currency of the coffeehouse, as fist fights broke out in the Musikverein where the Skandalkonzert took place. It was not until 1952 that the Altenberg Lieder was performed in its entirety. Another central feature of social life of the time were the newspapers and journals that fueled the polemics. Throughout his life, Berg was a great admirer of Karl Kraus (1874-1936), a savage critic of the hypocrisy and propaganda he found in the journalism of the time. Kraus, who may be described as a combination of two writers found much referenced in present-day social media, David Brooks of the New York Times and Andy Borowitz of the New Yorker, in that he provided intellectual satire and socio-political commentary for his devoted readers, produced his own publication, Die Fackel (The Torch) from 1899-1936. In this journal, Kraus attacked the establishment writings in the leading newspapers, including Neue Freie Presse, noting their promotion of attitudes against freedom in personal behavior and war-like attitudes around the time of WWI. Berg referenced Kraus multiple times in his correspondence with his mentor Arnold Schoenberg, and Die Fackel was required reading in his circle of friends and was passed around like shared posts on Facebook. But Kraus also had a much more profound influence on Berg’s music: it was Kraus’s speech at a performance of Wedekind’s Die Büchse der Pandora (Pandora’s Box) in 1905 which eventually motivated Berg’s use of multiple roles in his second opera Lulu, where the three husbands she victimized in Act I return as Lulu the prostitute’s three murderous clients at the end. 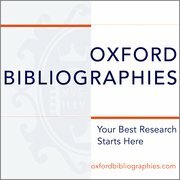 The coffeehouses and journals of Berg’s time, essential for those in his circle to stay abreast of the issues of the time, and to separate “false” news (opinion) from fact based on personality and personal loyalty, find their contemporary counterparts in the online world of social media. While the OUP online Bibliography sites are essential for serious research and documentation, in order to stay abreast of the latest news on composers such as Berg, one must venture into the interactive online world. Information found in these venues is difficult to catalog or find in traditional online search engines, and it changes constantly and requires verification. However, here we can find the latest recordings and reviews, conversations and issues, and get a sense of the “currency” of Berg’s music in the concert scene of today. The following includes some listings of what you can find related to Alban Berg and his music in the best-known social media and online sites. 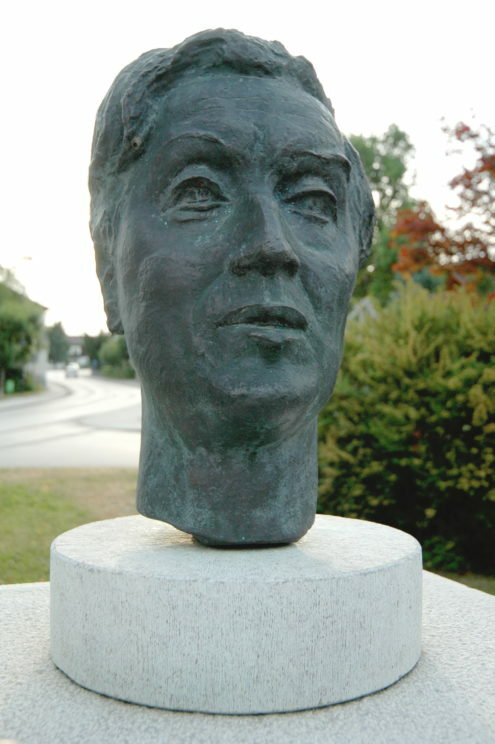 Bust of Alban Berg in Austria. Photo: Johan Jaritz, CC BY-SA 3.0 via Wikimedia Commons. 1) A fascinating audio-only first-person account, by Theodore W. Adorno, containing reminiscences of Berg as a person, musician, and teacher. This clip supplements the incisive chapter “Ton” from Adorno’s book on Alban Berg. 2) A review of the recent production of Berg’s opera Lulu at the English National Opera in November of 2016 by William Hartson. Also posted are unpublished reviews; for instance, here is a review I wrote as a Facebook post in December of 2015, after viewing the same production given at the Metropolitan Opera in New York — I experienced the opera at a local movie theater as part of the Met’s broadcast schedule of performances. A DVD and Blueray recording of this production has been released by Nonesuch. 3) A review of a recently released recording of Berg’s Opus 1 Piano Sonata by Vincent Larderet (Ars Produktion ARS38217 SACD) released July 2016. Also in the news is a transcription of the Berg Piano Sonata for guitar, by Christopher Dejour, and a video post of Glenn Gould discussing the Piano Sonata, from the Facebook site devoted to Arnold Schoenberg. 4) A new DVD release of Lulu from the Salzburg Festival, as part of a three-opera release, also including Die Gezeichneten (Les Stigmatisés) of Franz Schreker and Die Soldaten (Les Soldats) of Bernd Aloïs Zimmermann. Berg also has a presence at other social media sites: for instance, at Instagram, there are photos. Berg has a Twitter feed full of photos and links to performances, and even a Tumblr page, with items such as manuscript pages from the Lyric Suite, and a Myspace page, which has only photos. An important resource for posts on social media sits is the mammoth holdings of YouTube — which contain many valuable resources related to Berg and his music. For instance, we can reference recordings with a scrolling score (the Opus 3 String Quartet and the Violin Concerto), listen to personal impressions of Berg from Schoenberg, and view a documentary on Berg by Misha Orenstein, as well as a four-part documentary on “The Secret Life of Alban Berg” by Claudio Dutra, concerning the secret programs in Berg’s final works, relating to his affair with Hanna Fuchs Robettin: Part I, Part II, Part III, and Part IV. For Berg scores, more of which are becoming available by the year due to the expiration of copyright dates, go to the Berg page of the International Music Score Library Project (IMSLP) site. This amazing site supplies PDFs, MP3s, and other information on composers and their music, and is freely available (with some copyright restrictions depending on the country of the user’s origin). By visiting and using these social media sites, and adding comments, posts, and likes, we can engage with other Berg aficionados from around the world. In this way, we recreate a virtual version of the Vienna coffeehouse of Berg’s time. I’ll take that post with a café espresso, bitte. Featured Image credit: sheet music from Vier Stücke, a piece by Alban Berg. Public Domain via Wikimedia Commons. Dave Headlam is Professor of Music Theory and Administrator of the Multimedia Computing Lab at the Eastman School of Music, University of Rochester. He has published and presented on Berg's music, and is the author of the "Alban Berg" article for Oxford Bibliographies in Music.